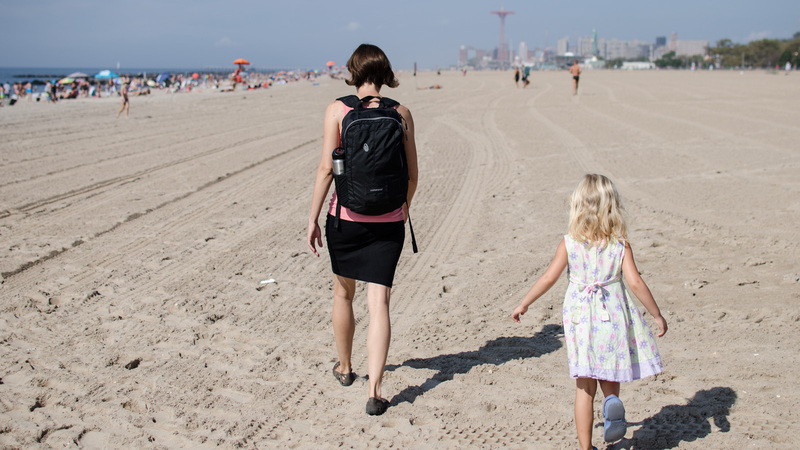 As we look over the hot sand of Brighton Beach, it’s one of the tallest structures on the horizon. Its seafoam color gives it away, but since it spins parallel to the coast, its most recognizable quality—its shape—is obscured at this angle. Not until we approach does the immense wheel materialize. 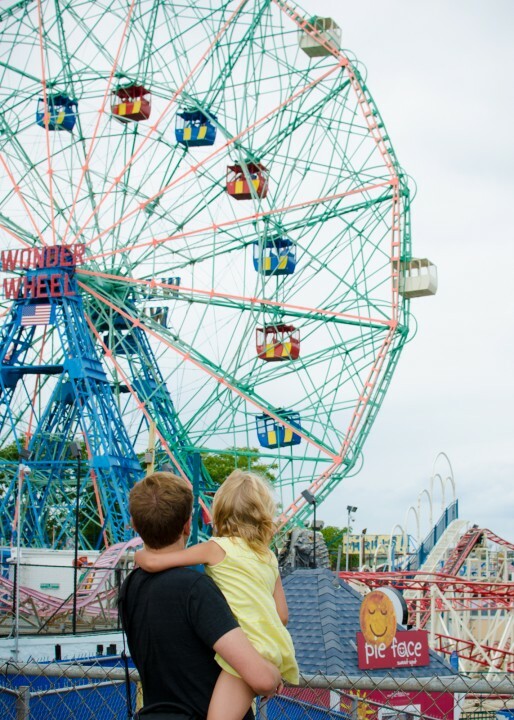 The Wonder Wheel is the tallest ferris wheel in the world, according to its own dubious signage. 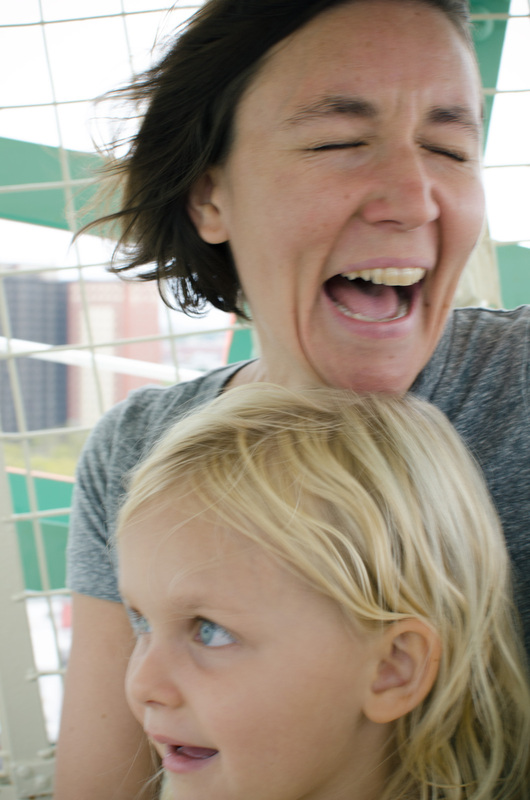 Charlotte suggested we ride the Wonder Wheel last weekend, which was the best idea we’d heard all summer. I had never done it, in the eight years I’ve lived in New York City. I’ve been to the amusement park at Coney Island at least a dozen times and even ridden the iconic Cyclone (in spite of my deep reluctance to cede control to a coaster), but never the equally iconic Wonder Wheel. It’s always just been there, looming. Similarly, Charlotte’s entry into kindergarten has towered over our summer. It’s difficult to say whether Charlotte has felt this presence, or if this is just living-life-twice parental anxiety at work. In either case, time ran out yesterday on any further speculation. We stepped out the door and walked around the corner to P.S. 9 for Charlotte’s first day. As we merged onto Underhill Avenue, we joined a veritable parade of small kids with huge backpacks and trepidatious parents. After winding through a labyrinth of lame kiddie rides and ancient arcade games, we arrived at the entrance of the Wonder Wheel. It’s unceremoniously (but logically) situated at the base of the wheel. Riders wait in line under an awning that makes it very difficult to see much of the wheel at all. I try to recall the high school geometry that tells me the circumference of a circle when the only information I have is the small arc I can see. It’s no use. From this close vantage point, the immensity of the ride is suggested only by the speed and the size of slowly turning gears nearby. Ticket holders approach the front of the line and a look of worry crosses their faces at the foot of the wheel. Foreheads furrow—the math doesn’t compute. We step into a carriage and the carnie locks us in. We ascend smoothly and quickly, stopping occasionally to let more people on below. A giant crenellated wheel older than our grandparents lifts us up while a sinking feeling pushes down on our stomachs. We ascend to the top and the ride stops for a few moments. We are 150 feet off the ground, wind whistling through our hair just as it did for the thrill-seekers of 1920. Wild-eyed, fight-or-flight response triggered, Maggie thanks anyone who will listen that we didn’t get into a swinging car. In this heightened state of arousal, for a moment, we can see everything. To the right, the Manhattan skyline, the north star. Panning back to the left: the narrows, the projects, the rides, the beach, the pier, and then the ocean. It registers as beautiful, even though we know exactly how much beauty resides on the crowded midway below. Finally, the Wheel lowers and we disembark, chattering nervously and happily, in the way one does at amusement parks. We’d done it; we rode the Wonder Wheel. Charlotte is now a kindergartener. The first day is behind us and we’re on our way up, moved by forces largely out of our control. This is a momentous week but life doesn’t feel different just yet. 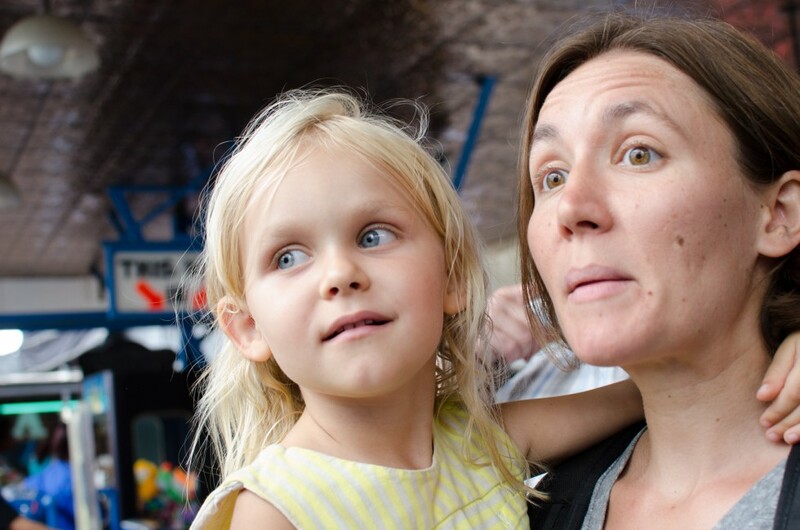 Then again, life didn’t feel different in the immediate moments after we’d stepped off the Wonder Wheel, either. But, I know that life is profoundly different since we rode: I know the nerves and the thrill. I went around, I saw the wonder. I know the relief of finally getting on. What a beautiful, strong arc you’ve created in this account for growth and change. Thanks Matt Raw for realizing how important this act of writing things down, distilling, editing, fretting, and ultimately sharing the written account is!